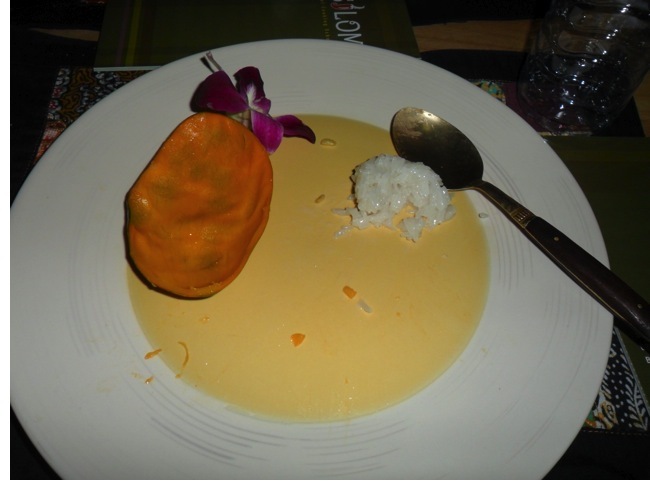 You may recall, if you are an avid reader of this blog, (high five) that our first day in Thailand was a bit of a test. 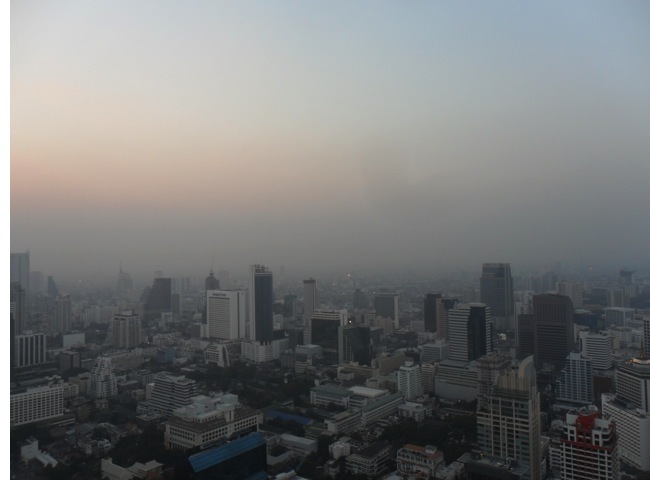 22 hours after our plane landed, we left Bangkok to head north as “lawfully advised”. 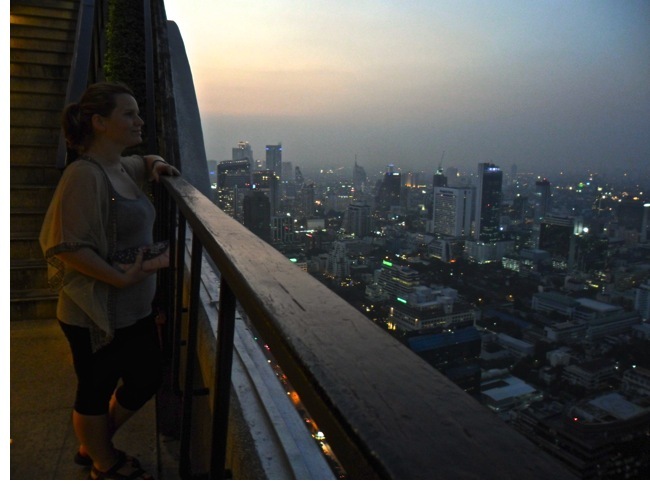 So when our 8-week trip through South East Asia was coming to a close, you can understand why we were a bit hesitant about spending our last couple of days in the capital of Thailand. 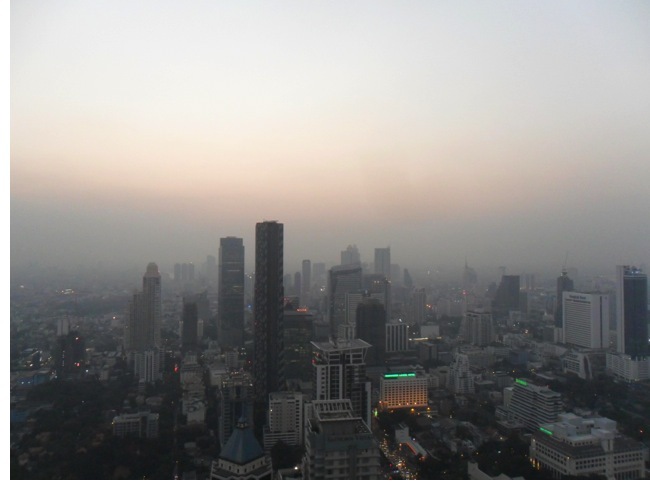 However, in a classic turn of emotional events, our last 24 hours in Bangkok was a strong contender as one of the best! The morning started off a little iffy, with a pitch black 5am drop off at a random bridge in Bangkok from a 13 hour overnight bus trip from Krabi. Waking up to hurried calls of “get off the bus, this is Bangkok!” and a testing conversation with a French man who we followed to the ferry-boat to cross the river, we were dubious of our next 24 hours back in Bangkok. After checking in to the same pre paid hotel as last time, we dropped our bags in the still leaking cupboard (8 weeks later) and changed our clothes. We walked around Koh San Road, had a nap on the hotel decking area & then headed over to Silom Thai Cooking School for our afternoon class. 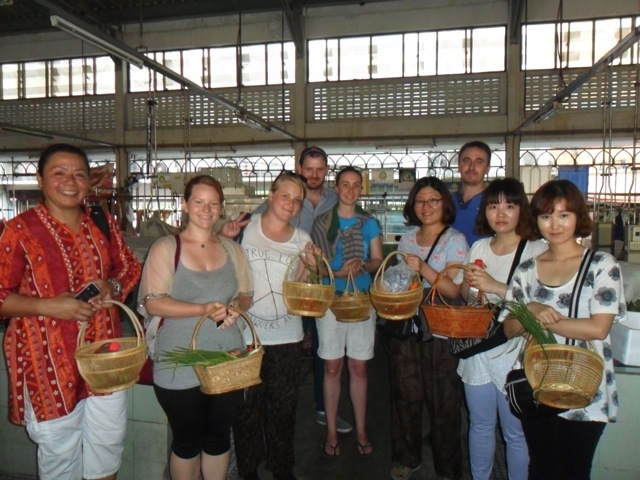 We were greeted with woven wooden shopping baskets for the market trip and our enthusiastic teacher, Coong. 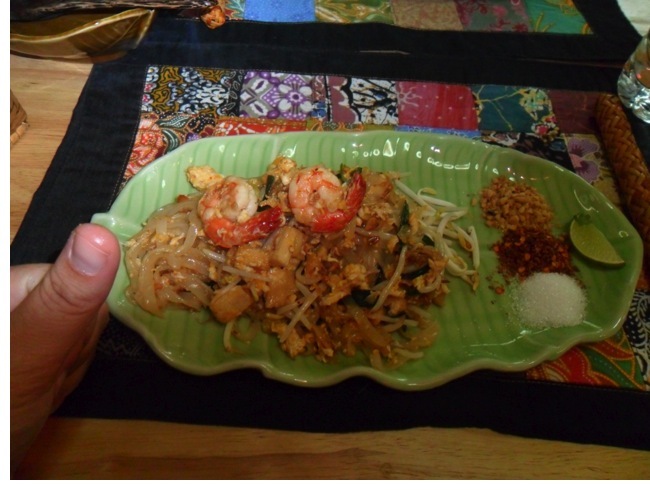 Andrea and me were duefully named Team UK and the first dish we attempted after returning from the market with our groceries was “Tom Yum Goong”; which translates to hot and sour prawn soup. I’m usually not a lover of fish but our time in Asia has forced me to try new foods and I’ve found out that I actually don’t mind seafood! Dad, this doesn’t however mean that I ever want to eat your fish pie – sorry. 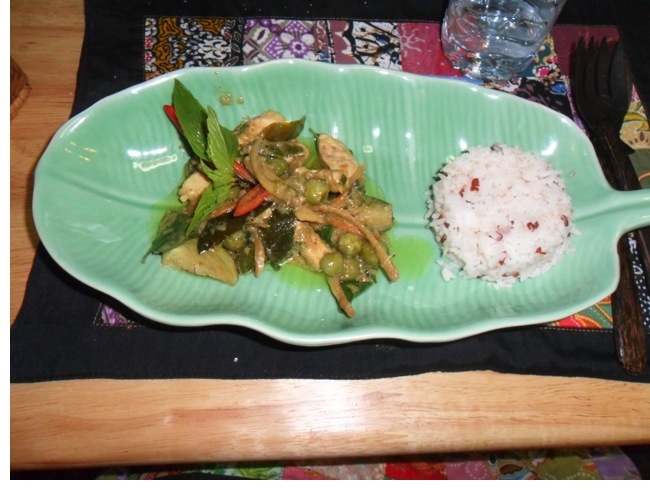 During our class, we also made the following dishes (plus Mango Sticky Rice). 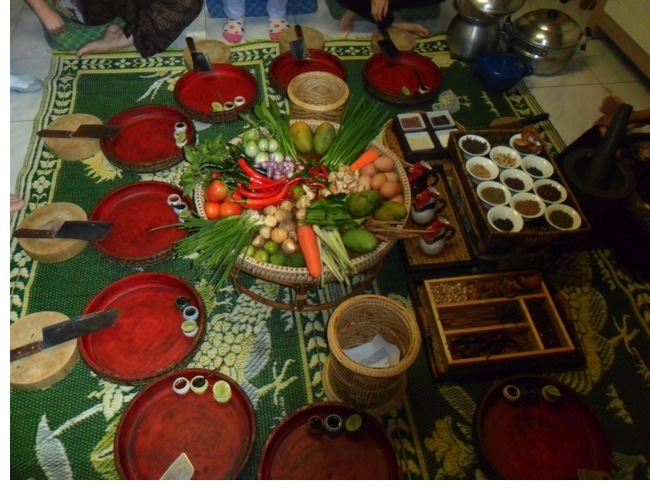 The class lasted for around 3 hours and included a market tour, where we learnt about and collected the food we would be cooking with. 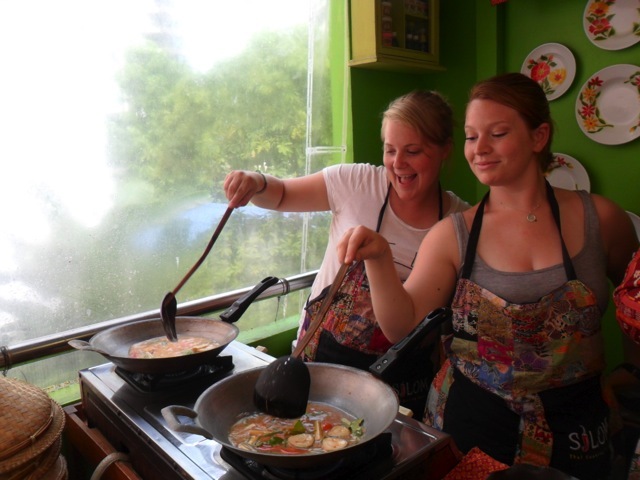 The cooking school is really great and definitely a must do in Bangkok for people who are interested in learning to cook Thai cuisine. The cooking and preparation areas were immaculate and the whole process is flawlessly efficient. AND you don’t even have to wash up afterwards! Banyan Tree Hotel view from the open top 61st floor. 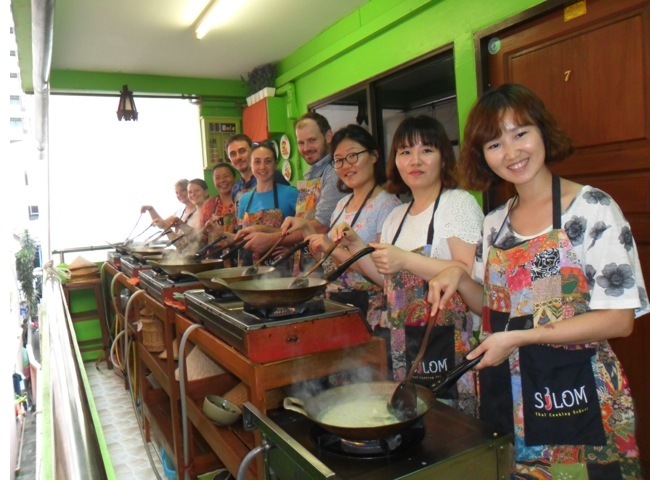 Here’s a Japanese style photo of our cooking class. We just love cooking! Buy the cocktail, Andrea, for the love of God, buy the cocktail! Count me it for the banquet. Quorn of course though! Hi, I desire to subscribe for this webpage to obtain hottest updates, therefore where can i do it please help. Thank you for your comment – I’ve just set up a subscription tab at the bottom of the home page which you can use to follow my blog. Thanks, Lucy. Stay up the great work! You understand, lots of people are searching round for this info, you could help them greatly.